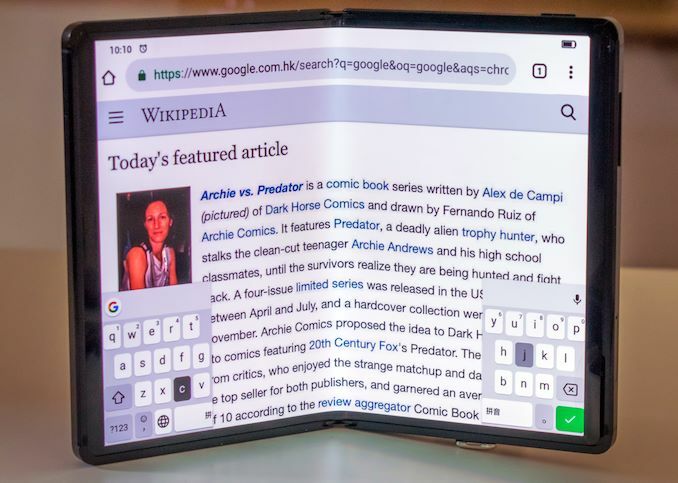 Out of the top smartphone manufacturers, Samsung has clearly beat its competitors to the punch with its foldable smartphone, but it certainly will not be the only company to offer such a product. 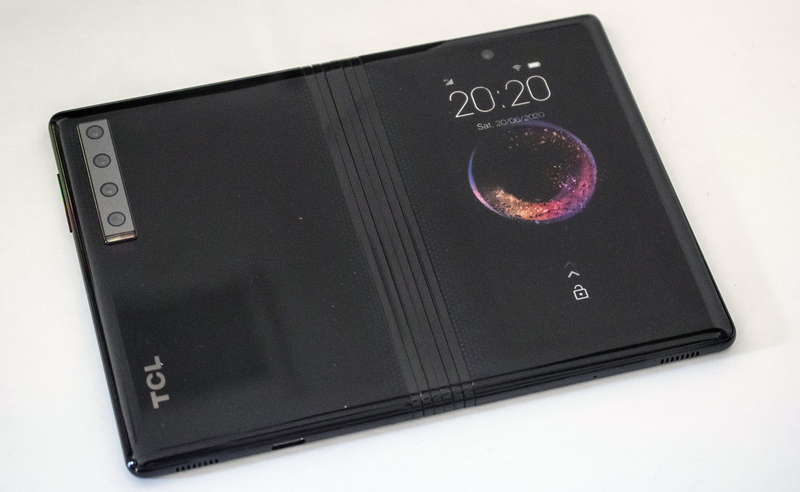 TCL, the company behind such brands as Alcatel and BlackBerry, is working on its own foldable display designed for more mainstream-priced handsets. Along with the display, it has patented its 'DragonHinge' design to deal with the fold in a device. The company states that these foldable handsets promise to be considerably more affordable than the first ones to market. In fact, TCL’s DragonHinge is an umbrella name for the project that includes three crucial parts: a 0 – 180º fully inward foldable AMOLED display built by TCL, a metallic hinge that enable to build foldable smartphones for various purposes, and software that allows owners to use foldable smartphones efficiently (e.g., switch from cover displays to main ones, tailor Android apps for larger screens, etc.). Building a foldable AMOLED display with supporting electronics and firmware/software requires a lot of experience with display technology, and being one of a few makers of AMOLED panels in the world certainly helps TCL. Flexible, lightweight, and durable hinges for smartphones are not very easy to design as well. Also, the software part of the equation is something that requires a lot of work and testing. 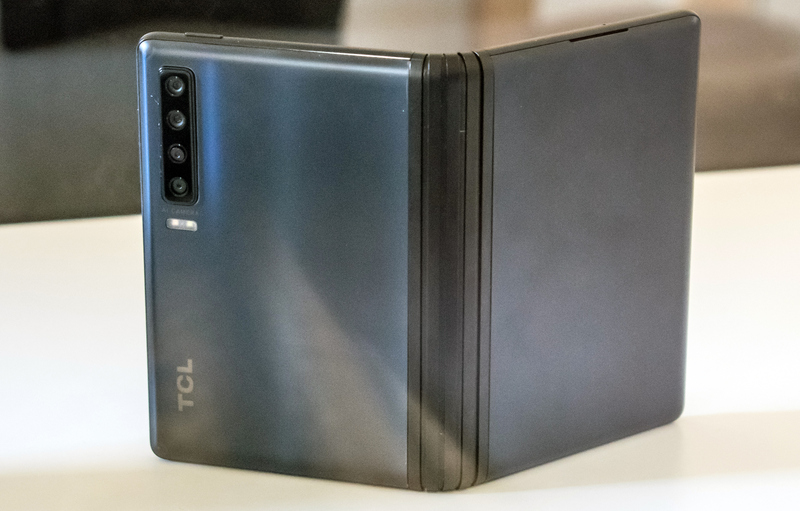 TCL’s marketing envisions a number of interesting use cases for foldable smartphones, but the actual practical realization of these features is up to the software team. To a large degree, these technologies are strategically important for TCL as they are going to enable it to enter the market of more premium consumer-oriented smartphones, a place where it is relatively absent today. TCL showcased several prototypes of its DragonHinge foldable smartphones at MWC 2019 emphasizing that it can leverage its tech to various types of products: from bulky handsets that can unfold into tablets to smartphones for those who are not too impressed with dimensions of modern flagships. The thing that catches most of the attention is TCL’s prototype of a smartphone that unfolds into a 7.2-inch tablet. The foldable AMOLED display features a 2048x1536 resolution and relatively thin bezels that enable the company to offer a 90.73% screen-to-body ratio. The panel itself can reproduce wide color gamuts, but the only thing that TCL says at the moment is that it can display color ranges that are wider than the NTSC. Obviously, the smartphone has the cover screen on the outside along with a four-sensor camera, just to point out that the prototype is all about the latest technologies. TCL plans to make its 7.2-inch DragonHinge smartphone in one of its own brands available sometime in 2020, which is why it doesn't talk about SoC, memory, storage, and modem that are set to be used. What the company does stress is that it wants its foldable 7.2-inch smartphone to be ‘considerably’ more affordable when compared to Samsung’s Galaxy Fold. One thing to note about the 7.2-inch DragonHinge prototype shown at MWC is that it is at such an early stage of development that TCL has to demonstrate two devices: one is to show that it has a foldable AMOLED screen, and another to show that it has a proper hinge. The way TCL shows off the prototypes reveals that it has at least three teams working on foldable smartphones in parallel and the teams working on the panel and software used non-DragonHinge chassis for their design purposes. Another concept of a foldable smartphone that TCL finds interesting is just a regular handset that can be folded in a bid to reduce its size when in the bag or in a pocket. The company does not disclose resolution of the screen for such a phone or when the device is expected to become available. Therefore, it looks like the concept is very far away from its practical realization. "and software that allows owners to use foldable smartphones efficiently (e.g., switch from cover displays to main ones, tailor Android apps for larger screens, etc.)." This would all be handled in the display driver and UX framework. Of course it is C++. ASM is only used to take advantage of PU (CPU, DSP etc) instructions which do not even have intrinsics in a C++ compiler yet. Which has nothing to do with folding tech. I'm always wondering if this way this isn't a solution for a problem nobody has. 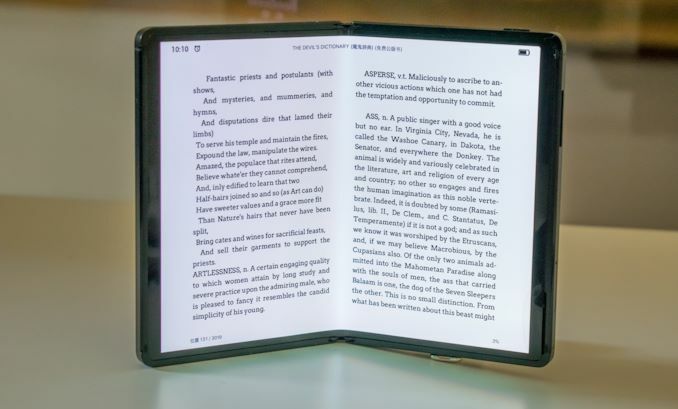 I mean, as long as folding a larger device just leads to a smaller one that is three times as thick and that you always have to unfold to use it anyway this seems gimmicky to me at best. My 7" Nexus got more use time than my 11.6" laptop and 10.1" tablet at the time because it was easily pocketable in my breast pocket. If the 10.1" tablet had been foldable to the footprint of the 7" tablet and be pocketable that way, I would have carried it around much more often.